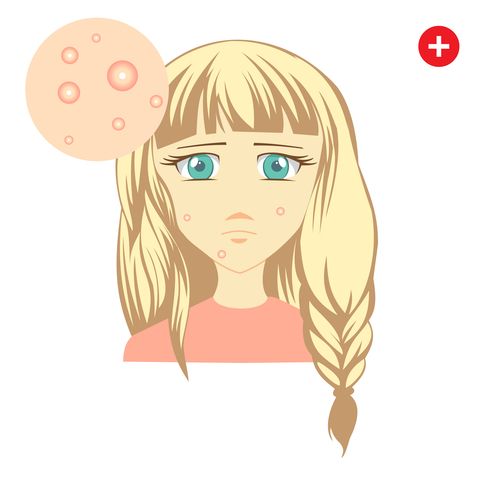 85% of Teenagers have Zits - How can Acne Home Remedies Help Me? Acne Home Remedies........ can help YOU zap those zits in your own home easily and effectively. For those who suffer from acne, it is not merely a cosmetic problem. You will know and have experienced that it is a big emotional problem, the consequences of which impact on every single aspect of your life. Your confidence goes for a ball of chalk, your relationship with your friends with "perfect" skins disintegrates and the list goes on and on. Pimples are caused by the blockage and infection of the oil-producing sebaceous glands adjacent to hair follicles in the skin. When this blockage occurs, the bacteria normally present in the skin convert into compounds that irritate and rupture small glands, causing inflammation, infection and the much dreaded zits. Research has also shown that acne suffers could possibly have a zinc deficiency. Zinc is good for reducing the production of oil in the skin and plays a big role in balancing hormones, which is known to be another cause of acne. Further research has indicated a lack of Vitamin C in acne sufferers. These acne home remedies are not meant as a substitute for your doctor's advice, but rather, as an holistic approach that can help heal acne naturally. Wash your face with water and wipe with a raw onion. Repeat 3 times a day. This could be a bit smelly, so try to leave on for as long as you can possibly bear it, before washing with your choice of good smelling face wash.
Go a step further and mix a half teaspoon of Epsom Salts in your face wash.
Why Onions and Epsom Salts? 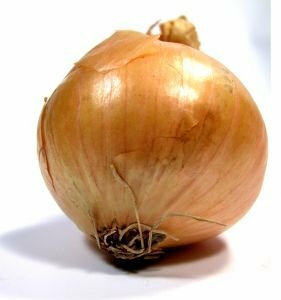 Sulfur is a mineral found in onions which is reputed to be excellent for the skin. Onions also contain a flavenoid called Quercetin, which is one of nature's own antioxidants. It is also a natural anti-histamine as well as being one of nature's natural anti-inflammatories. Epsom salts are made of the mineral magnesium sulphate which draws toxins from the body. Epsom Salts is an excellent emollient (softens and smooths the skin), and also an exfoliator (removes dead cells from the surface of the skin). 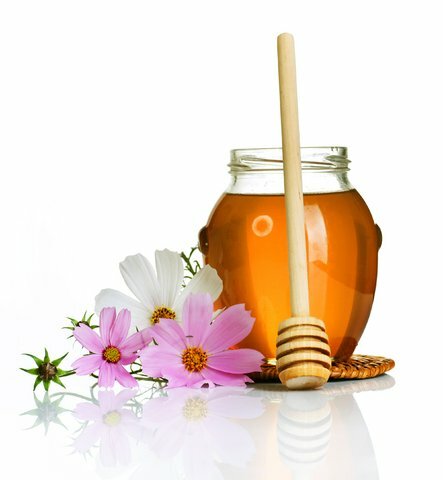 Honey and Cinnamon Paste Home Treatment for Acne. Mix 3 tablespoons of honey, and a teaspoon of cinnamon powder into a paste and rub into your face. Relax and leave on for at least a ½ hour. Rinse your face. Try this for 2 weeks and just wait and see what happens. Cinnamon and honey have been used through the centuries as acne home remedies as well as for healing and improving skin in general. Honey contains anti-inflammatory and anti-bacterial properties and cinnamon has anti-microbial and antioxidant properties which all help in controlling acne. Lemon Juice to help prevent Acne Naturally. Cleanse face with water and dry off, use some swabs dabbed liberally in lemon juice to sponge your face. Repeat this action 3 times a day and particularly before going to bed. lemons are an excellent source of vitamin c which helps reduce the damage toxins do to the cells and is also a detox which helps remove toxins from the body. Mix a heaped tablespoon of Epsom salts, a tablespoon of Cream of tartar and a pint of boiling water. Allow to cool and take a table spoon every morning before your breakfast. Why Epsom Salts and Cream of Tartar? 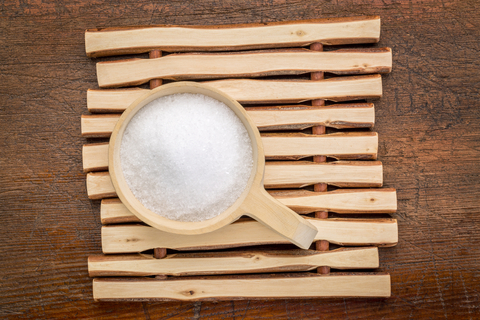 Epsom salts are made of the mineral magnesium sulfate which draws toxins from the body. It is an excellent emollient (softens and smooths the skin), and also an exfoliator when used in your face wash. Cream of Tartar is a by-product of the wine industry and is the common name for potassium hydrogen tartrate. Potassium helps lower uric acid in the blood which then ensures that waste is not purged through the skin, but rather through the kidneys. 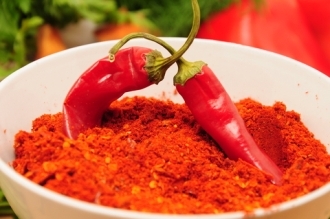 Red Pepper - an amazing spice for help in healing Acne naturally. Mix a teaspoon of cayenne pepper into a glass of water, add some honey to improve the taste and drink. Do this 3 times per day. Red pepper is a source of Vitamin C which will help fight any possible infections caused by the blockage of the oil-producing sebaceous gland. It is also rich in organic calcium and potassium.